Highland Greens is a nine hole par 3 course that is lighted, yes lighted, so you can play at night. 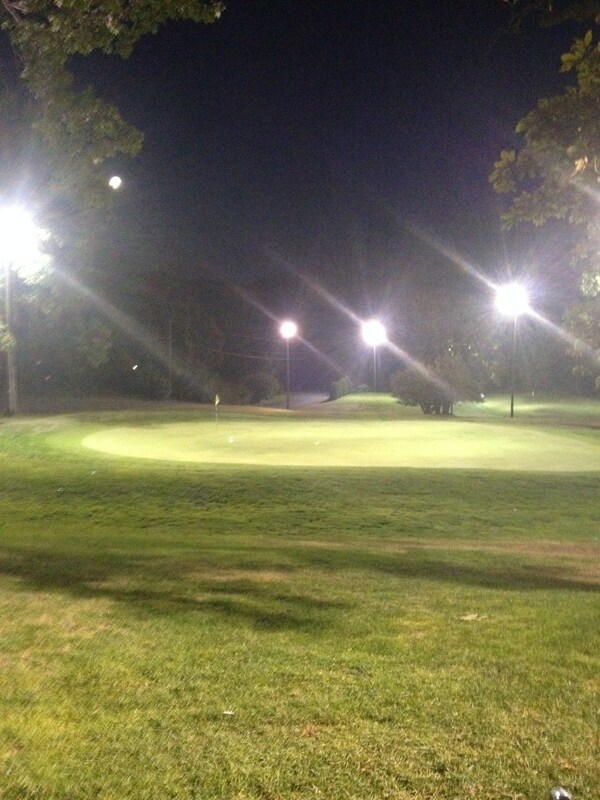 Its the only night golf facility in CT. There is not much to say about the course as the holes are all relatively the same. Playing under the lights sounds cooler than it is. At address your club face’s shadow blocks out the ball and makes it a “blind” shot. It is also tough to find your ball when you miss a shot. It is definitely worth trying once or as a pregame for a guys night out……beers on this course just feel normal. Interesting tidbit- The property was once owned and farmed by Revolutionary War Captain Ambrose Hine Jr. Captain Hine served with General Washington’s Continental Army in the Battle of Long Island. Later, he served defending the Hudson River.His handiwork can be seen in many stonewalls located on the property. His home, where he raised his 9 children, is the red house located across the driveway from the 3rd tee. Overall a weak 6 just cause it has lights. This entry was posted in D-H and tagged night golf.